Product prices and availability are accurate as of 2019-04-08 22:03:13 EDT and are subject to change. Any price and availability information displayed on http://www.amazon.com/ at the time of purchase will apply to the purchase of this product. If your life is a mess, you need to organize things. Maybe you have used twist ties, zip ties or Velcro, but twist ties break, zip ties need to be cut off, and Velcro wears out. In searching for a solution, you need Accmor gear twist ties, a reusable silicone rubber and stainless steel cable/cord tie wraps. Effectiveness - These tie straps are covered in silicone rubber for ease of use and it has a stainless steel core for strength and durability, therefore it is also unlike zip ties that you have to cut and throw away. The Accmor gear twist ties quickly and securely stay in place, wrapping cables are easy and it's easy to readjust. 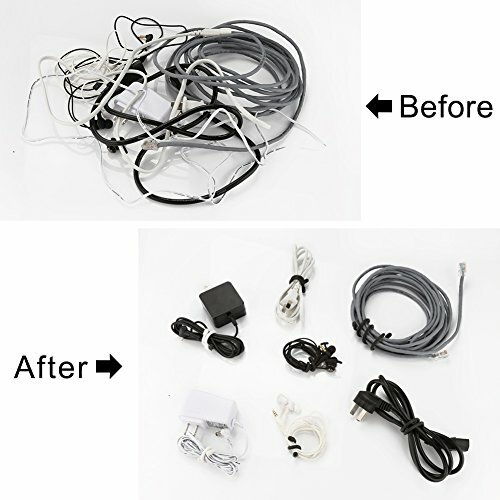 Valuable - Come with 24pcs 4mm diameter reusable twist ties in different length, 6 inch wire wraps are perfect for USB cable, laptop cord, TV cables, tech, bags and laptop chargers, 3 inch wire wraps are perfect for travel, headphones wires and phone charging cords, 12 inch wire can meet your other needs in your life. 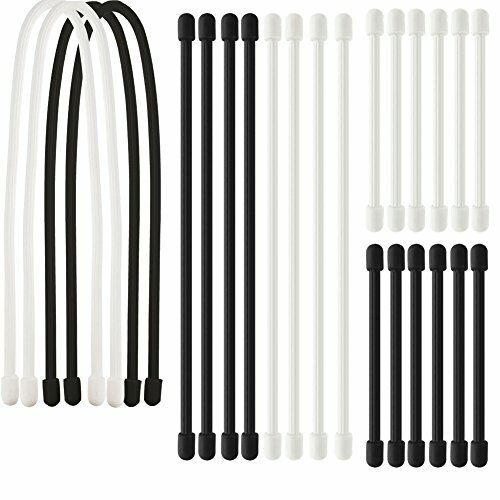 What is more, the white and black cable ties create a modestly living for you, you will love it. 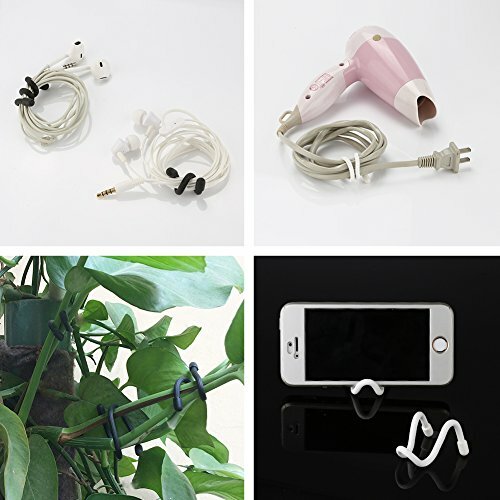 For indoor or outdoor use - Made of soft rubber silicone exterior, with a strong, flexible inner wire that can bend to any position you need, and stay there. These ties are also waterproof, which provides the option to use them outdoor without damage. Use widely - With a simple wrap-and-twist motion, twist cable ties keeps appliance wires, cables and cords tangle-free, organizes tools, art supplies, and sporting equipment, binds and neatens kitchen gadgets, craft supplies, toys, and more. You can use it in your office, tool box, pantry, when traveling, camping, backpacking, boating and much more.